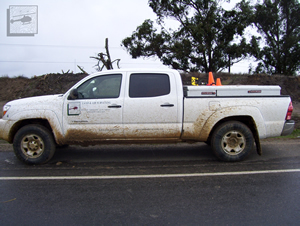 Land & Air Surveying, Inc. is a full-service land surveying company. We specialize in land surveying for residential, commercial, and institutional projects of all sizes. From boundary surveys to construction layout, we do it all. In business since 1992 and backed by nearly 30 years of experience, Land & Air Surveying, Inc. always works with the client's needs in mind. Based in Malibu, we serve all of California. As a full-service land surveying firm, we provide a wide range of services, including everything from minor lot line adjustments to large subdivision maps for multi-unit planned communities. We use state-of-the-art technology to assist our surveying work and enhance our productivity. When you work with us, we guarantee that your project will be performed and overseen by a principal with more than 30 years of surveying experience. In order to provide you with the best information to assist your decision making, we advise you of potential cost saving options whenever possible. • We will not spend our clients’ dollars on unauthorized work. • We will not do field surveying without our clients’ authorization. Copyright © Land & Air Surveying All Rights Reserved.